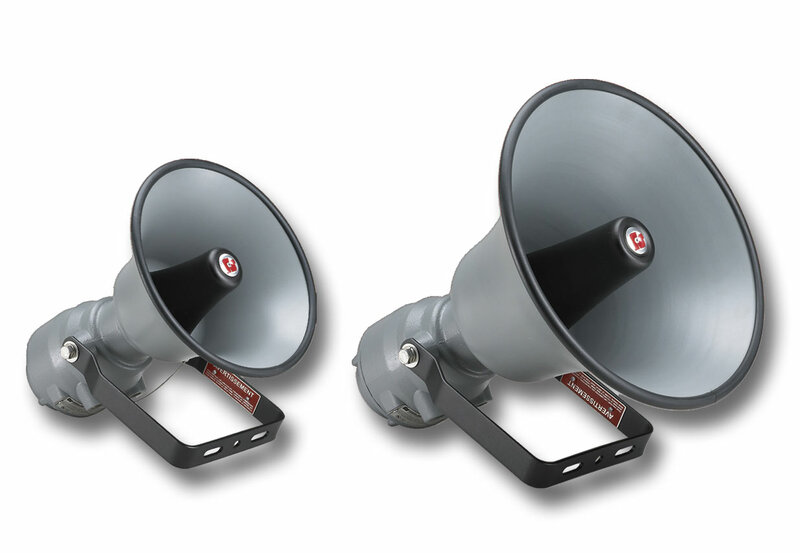 The Federal Signal Model 304X and 314X Explosion-Proof Amplified Speakers are designed to produce crisp, clear tones in supervised alarm notification systems. Both models are compatible with fire alarm, voice evacuation, suppression supervised control panels, and power boosters. These amplified speakers can broadcast tones generated by a Tone Card installed into the speaker (the plug-in 32-tone UTM*) or by a central tone source in a voice evacuation or paging system. When live public address or voice messages are required, plug-in Connector Cards (AM25CK or AM70CK) interface with the Vrms of the EVAC panel.